Let’s face it - your hair looks best when it’s been freshly coloured. 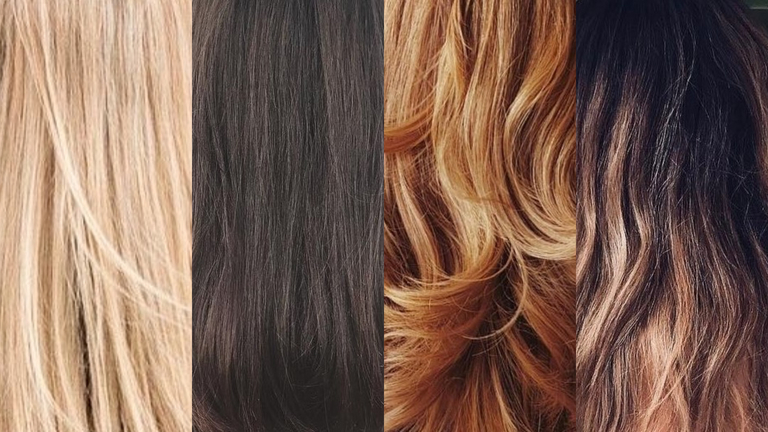 Nothing beats that ultra-glossy, rich and lustrous look of newly tinted, highlighted or balayaged tresses. But do you find that ‘good-hair-day’ feeling fades as quickly as your hair colour does? Whether you colour your hair at home or in the salon, it’s likely you’ll ask yourself “How can I make my hair colour last longer?”. Here, we reveal the expert-approved tricks & tips to keep your blonde glowing, your brunette rich and your red vibrant. Whether your brunette is caramel and golden, or a deep, dark chocolate tone, one thing is sure - your colour looks best when it’s shiny and radiant. Saturate your strands with an extra glossy Shampoo and Conditioner, such as the Brilliant Brunette Rich Radiance Multi-Tone Revealing range. Fortified with real crushed pearls and sweet almond, this colour-care range hydrates as it smooths for a polished, mirror-like shine. When it comes to protecting and preserving your colour-treated brunette, hydration is key. Dry, undernourished strands can make your brunette colour appear dull and faded, so a tailored hair care regime dedicated to keeping your colour looking it’s vibrant best, will make your colour last longer. Maintain your brunette daily with Brilliant Brunette Colour Protecting Moisturising Shampoo and Conditioner, which has been expertly formulated to rehydrate and replenish dry brunette hair, wash after wash.
Don’t forget that heated styling tools can also dehydrate your hair, resulting in dull, faded brunette tones. Help protect hair colour from heat damage with a prep spray such as the Frizz Ease Heat Defeat Protecting Spray - innovatively formulated with ThermaGuard Complex and humectants. This formula helps protect your hair from heated styling tools, while replenishing for a smooth and moisturised finish. For an instant colour boost, try a colour-depositing range such as the Brilliant Brunette Visibly Deeper Shampoo, Conditioner and In-Shower Treatment, which infuses deeper, richer brunette tones in just 5 minutes. If you’re craving a golden, sun-kissed look, the Brilliant Brunette Visibly Brighter range will reveal a new dimension to your brunette, by gradually brightening dark brunette tones with a natural-looking golden glow. Maintaining blonde hair can be demanding, so it’s important to choose the right products for your blonde hair type. For blonde tones that are looking dull, you can lighten your hair colour by two shades with the Sheer Blonde Go Blonder collection. This expert hair lightening range has been formulated with a blend of chamomile and citrus, and gradually lifts your blonde for a brighter, lighter sunkissed look. To keep blonde highlights looking fresh, invest in a colour-care range designed especially for highlighted blonde hair, such as the Sheer Blonde Highlight Activating range. Formulated with brightening technology, this daily Shampoo and Conditioner hydrate, brighten and reveal a full-spectrum of blonde highlighted tones. When nothing less than cool, platinum tones will do, seeing those brassy, orange tones coming through can be frustrating! Revive your blonde with a purple shampoo and conditioner such as the Sheer Blonde Colour Renew range, which has been expertly formulated with Colour-Correcting Technology to re-balance your blonde in just 3 washes, and reveal a cool, fresh colour. To restore healthy radiance back to over-processed, platinum blonde strands, treat with a weekly mask such as the Sheer Blonde Flawless Recovery Deep Conditioner. Designed especially for dry, brittle blonde hair, this intensely nourishing treatment rejuvenates and restores for a radiant blonde glow, while strengthening strands and boosting your texture. It’s true. Red hair is one of the most difficult shades to maintain, and that’s because red hair molecules are much larger than other colour molecules, so washes out and fades quicker. The best way to keep red hair colour from fading is by using a colour-depositing hair care range, such as the Radiant Red Red Boosting Shampoo and Conditioner. Expertly formulated specifically for redheads, this Pomegranate Extract and Vitamin E-infused collection recharges your hair with vibrant red tones with every wash, and will help keep your red hair colour from fading, while softening for silky-smooth strands.